Come set sail with HITS as we board the S.S. American with music, dance, laughs, and the age-old tale of boy meets girl in a hilarious shipboard romp, wrapped around one of Cole Porter’s most magical scores, ANYTHING GOES. Led by director Adam Wagner, 38 local Houston HITS students will bring to Miller the Tony-award winning Broadway musical. Anything Goes is set aboard the ocean liner S. S. American, where nightclub singer and evangelist Reno Sweeney is in route from New York to England. Her pal Billy Crocker has stowed away to be near his love, Hope Harcourt, but the problem is Hope is engaged to the wealthy Lord Evelyn Oakleigh. Joining this love triangle on board the luxury liner are Public Enemy #13, Moonface Martin and his sidekick-in-crime Erma. With the help of some elaborate disguises, tap-dancing sailors and good old-fashioned blackmail, Reno, and Martin join forces to help Billy in his quest to win Hope’s heart. Since 1987, HITS Theatre has partnered with Miller Outdoor Theatre and the City of Houston to present a Broadway-style musical theatre production to Houstonians and visitors, free of charge.  HITS Theatre brings a broad, diverse audience of over 20,000 Houstonians at six free-to-the-public performances at one of the finest outdoor theatre venues in the country: Miller Outdoor Theatre. We provide a talented cast of students; Miller provides invaluable support, a first-class facility, and a picturesque venue. Together, we provide a professional caliber event accessible to all Houstonians and visitors to our community. Bring your family, friends, and pets! We have staterooms for everyone – grab your ticket and come aboard!